With the rise of innovation centers across the globe in the mold of Silicon Valley, it can be easy to forget that technology innovation is not new. In fact, it may be said that we are genetically predisposed to innovate. This predisposition to improve, replace, and displace is the creative genius of humankind. However, this proclivity to create does have a downside. With weapons of war, humankind has the distinction of being earth’s only species to have created a means to destroy itself in its entirety through biological, chemical, and nuclear weapons. Nevertheless, this same creative genius has allowed us to travel beyond this earth to put people on the moon. Improving the human condition through technological advancements is a double-edged sword if ever there was one. As one person I know astutely observed, the current fervor around technological advancement has become a kind of "transhumanist religion." While technological innovation is not new, what seems new to many observers is the rate at which technology is advancing. Some high-profile observers are even dismayed by the rate of technological advancement. Author Thomas Friedman recently remarked that humans can no longer keep up with the rate of technological change, but caveated his concern that with education and “smart governance,” people can catch up (Parke, 2017). Also, entrepreneur, engineer, and inventor Elon Musk recently warned that artificial intelligence poses an “existential risk to humanity” (Domonoske, 2017). I must admit that I too wonder sometimes whether the train is going so fast that it will eventually jump the tracks. However, it is important to keep context in mind when considering the so-called snowball effect of technological advancement. Insomuch as technology is developed within the confines of a market-based economy, people will self-throttle. In other words, if there is indeed an invisible inflection point out there at which juncture humans can no longer cope with the cognitive load imposed by technology, or artificial intelligence becomes an existential threat to humanity, a point of diminishing returns will be met as our brains reject technological advancements, thus disincentivizing technological adoption, resulting in a downward shift in the trajectory of technological advancements. While dystopian futures of a technology world gone awry play well on the silver screen, humans have built-in throttling mechanisms in the form of fear in our reptilian brains and the amount of cognitive load and complexity the prefrontal cortex can bear in our neomammalian brains. In other words, we will adapt behaviorally. While I disagree with Musk and Friedman, I do believe there must be some limiting principles that guide our advancements in technology. As the world—the Western world in particular—hastens toward social secularism, we will need to find a compass of ethics that transcends religious-based morals and focuses on societal mores to prevent the advancement of technology from bringing harm to humanity. Is there a limit to the good that technology can bring to humanity? If so, what personal and social mechanisms can be put in place to prevent the advancement of technology from being blinded by the profit motive to the detriment of humankind? The answers to these questions are beyond the scope of this article, but the point is that the ethics and morals of technology are the real issues we need to be concerned with, and not malevolent artificial intelligence or the inability of humans to keep up with the rate of technological advancements. In a market-based economy, the formula for moving an idea to a product or service is straightforward: ideas x value + capital investment. However, in order to create an environment that is capable of executing this formula at scale, each of the variables must be understood and treated accordingly. One of the world’s greatest nineteenth-century writers, Victor Hugo, is paraphrased as having said, “There is nothing more powerful than an idea whose time has come” (Hugo, 1879). So how do we know when an idea’s time has come? We know an idea’s time has come when there has been a change to a challenge in the environment, as British historian Arnold Toynbee points out, and the idea is a response that adequately answers that challenge on time (Toynbee, 1955). There may be many ideas that answer the challenge, and all things being equal, the best idea will win the day. It, therefore, stands to reason that creating a laboratory of mass ideation—novel concepts that are responses to new challenges in the environment—is a key ingredient (perhaps the key ingredient) in creating a tech hub. Just as nature abhors a vacuum, ideation abhors bureaucracy. Bureaucracy is a codified response to a challenge in the environment that seeks to maintain control through hieratical systems, structures, policies, and procedures that formally define desired behaviors. Ideation is novelty and thus an existential threat to bureaucracy, because bureaucracy is, by definition, calcification—i.e., systems, structures, policies, and procedures frozen in place or modified only in the service of maintaining the status quo—whereas novelty is a solvent that dissolves the old to make way for the new. Bureaucracy and novelty do not coexist well. When the two are forced to attempt coexistence, bureaucracy wins because it is a manifestation of those in power exercising their authority. The reason why bureaucracy cannot tolerate novelty in the form of ideation is that bureaucracy first describes and then prescribes behavior. This prescription of behavior is carefully guarded by agents who act as managers of the middle and who do not suffer well existential threats. Novelty in the form of ideation demands one key element and two sub-elements. The key element is experimentation, and the two sub-elements are serendipity and spontaneity. Experimentation often leads to chance discoveries. Take, for example, the discovery of the world’s first antibiotic, penicillin, which revolutionized pharmacology and the world, for that matter. 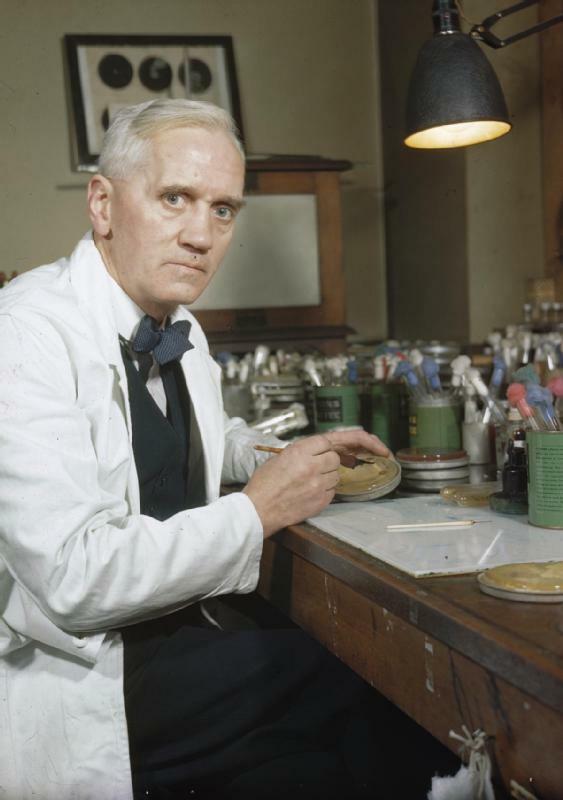 Upon returning from a holiday in Scotland, Sir Alexander Fleming discovered that some of the Petri dishes in his laboratory had been contaminated with mold. Upon further examination, Fleming found that the mold in the dishes—Penicillium—inhibited the growth of bacteria. Fleming is reported to have said, “When I woke up just after dawn on September 28, 1928, I certainly didn’t plan to revolutionize all medicine by discovering the world’s first antibiotic, or bacteria killer. However, I guess that was exactly what I did” (Markel, 2013). Fleming’s was an entirely chance discovery, but it would never have occurred had he not been experimenting. Just as novelty and bureaucracy do not complement one another, neither do experimentation and low-risk tolerance. The primary risk associated with experimentation is failure. Most experiments fail. Failure is a built-in component of experimentation. Thus, an essential ingredient in creating tech hubs is a high tolerance for failure. Espousing a value of high tolerance for failure is easily enough said, but it can be hard to practice, especially for those who have a low tolerance for ambiguity and nebulousness. Dictating an environment of arbitrarily limited experimentation will invariably limit the number of both chance discoveries and successful experiments. Thus, removing arbitrary limitations on experimentation is essential to creating an ecosystem of discovery. Experimentation should be bound by ethical considerations, but not by an authority figure’s low tolerance for failure. The paradox is that the lower tolerance an individual has for failure, the likelier he/she is to experience it. Resources are limited, and if individuals are working for a state, non-profit, or for-profit organization, unlimited experimentation can seem impractical. However, there are strategies that both accelerate experimentation and increase its chances of success. Although it may seem absurd, the first factor that accelerates experimentation and increases its chances of success is chaos. I do not mean chaos is the sense of anarchy, but rather deliberate disorder. This deliberate disorder is a manifestation of the “collision principle”—i.e., the more variables there are in an ecosystem, the likelier they are to collide. 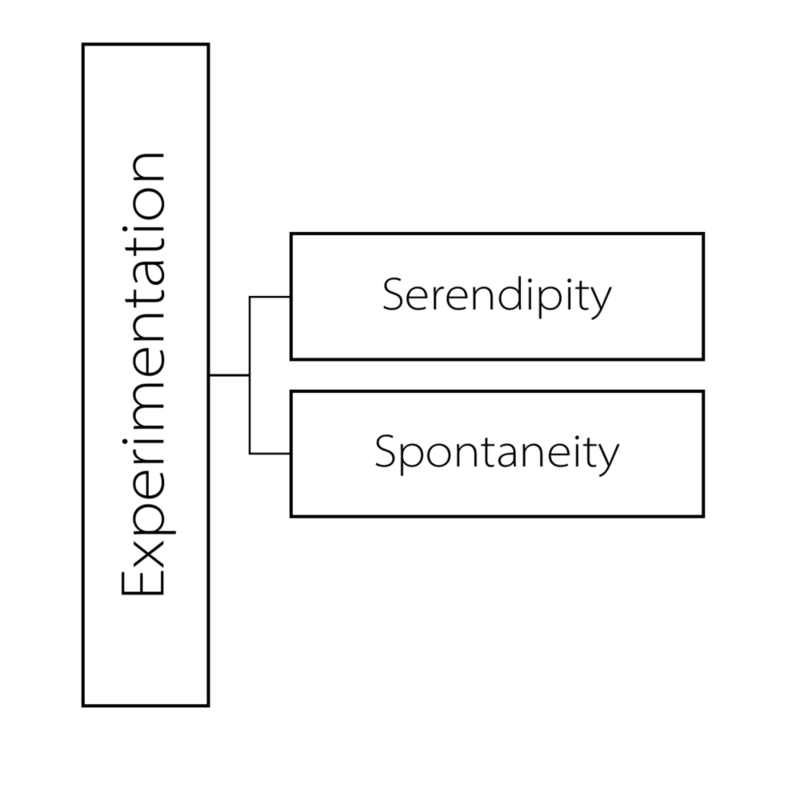 When each collision occurs, it is a manifestation of spontaneity—i.e., something that is unplanned—and opens the door to the great experimentation accelerator: serendipity. So how is spontaneity introduced into an ecosystem of tech hub? The behavior of spontaneity is given space when organizations are as flat as possible. Flat organizations reduce friction in the movement of ideas, and the less friction in the movement of ideas, the likelier ideas are to productively collide. This is achieved by allowing for unfettered communication and collaboration among the technology developers. When technology developers communicate and collaborate, the variable of serendipity begins to emerge. Within an innovation ecosystem, serendipity is the variable that takes groups of people from being lesser than the sum of their parts to become greater than the sum of their parts. The need for this variable within technology innovation ecosystems is becoming more and more imperative. The reason why serendipity is a critical element within a technology innovation ecosystem has to do with the factor of knowledge depth. As fields of expertise in the area of technology continue to proliferate and as humanity learns more and more about each field, the depth of knowledge an individual must hold to be an expert in a field is growing deeper and deeper. While the depth of knowledge individuals are obtaining through formal and informal education and real-world experience adds value in the form of unipolar expertise within the technology innovation ecosystem, multi-polarity is the variable that creates space in the ecosystem to cross-pollinate. Multi-polarity is achieved when, within the environment of high-frequency idea collision, two or more individuals combine their unipolar depth of knowledge to ideate in a multi-polar manner. In this model of serendipitous ideation, there can be no silos of software engineers, hardware engineers, chemists, biologists, mathematicians, and so forth, who talk only amongst themselves and who answer to a singular entity responsible for the silo. The guiding principles behind serendipitous ideation are absolute freedom of movement, freedom of expression, freedom to question, and freedom to participate. This is the method and attitude toward technology development that is the primary accelerator of ideas that snowball into novel outcomes from collaboration among people, thus producing results that are greater than the sum of the parts. Serendipitous ideation can be deliberately introduced into a technology development ecosystem by creating as much space as possible for the collision of ideas and reducing friction within the system by removing hierarchy and bureaucracy. In this environment, groups of people working together do not answer to managers but organize themselves and communicate directly with each other. Key decisions are made by the group and not from the top down. The overall mindset is to have as little standard process as possible because as groups organically form and as people voluntarily and opportunistically leave and join groups based upon the value they are in need of and the value they are adding, the members of the group will know what is right for them. An example of how this process of serendipitous ideation played out in an un-accelerated way is the invention of the television. Who invented the television? The quick and dirty is the American, Philo Farnsworth. However, this answer is not only incomplete, it is misleading. Farnsworth played a significant role in the development of the television, but he was not alone. A television is a complex device and unlikely something a single person could have developed alone. Ideas and devices that eventually culminated in the television were developed over many decades, with some of the early discoveries connected in no way to the idea of broadcasting moving images for entertainment and information distribution. First came the mechanical television, based on the concept of facsimile transmission, with which Farnsworth had nothing to do. The development of the mechanical television occurred over several decades from the late 19th to early 20th centuries and involved both parallel and linear ideation, which included dozens of people and organizations. While the development of the mechanical television was taking place in the late 19th century, others were developing means of displaying cathodes, which eventually culminated in German physicist Ferdinand Braun's developing the first cathode ray tube (CRT) in 1897 (Braun, 1897). Almost a decade later, Alan Archibald Campbell-Swinton proposed that a CRT could be used for "distant electric vision" (Swinton, 1908). Fast-forward to September 3, 1928, Farnsworth held a press demonstration to use his image dissector camera tube to transmit a line, which is considered the first electronic television demonstration (S.F. Man's Invention to Revolutionize Television, 1928). Thus, Farnsworth gets credit for being the inventor of the television. This condensed anecdote only scratches the surface of the history of the television’s development. In reality, the television was created over the course of many decades and included dozens of people. Today’s televisions do not even use CRTs. While he was an important figure in the development of the television, to say that Farnsworth invented the television is about as inaccurate as to say that the Wright brothers invented the passenger plane. The development of the television in an example of serendipitous ideation but at a languid pace. 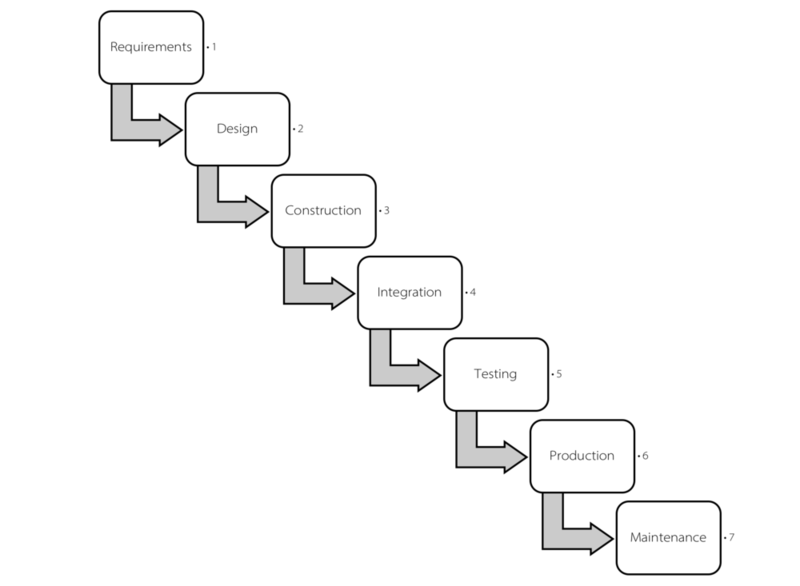 It is inconceivable that the Waterfall Method of development could have resulted in the invention of the television. The television developed as one idea built upon another in a serendipitous, decentralized, and unorganized way to eventually culminate, after almost a century, in a device that revolutionized the world. The concentration of human intellect, an abundance of ideas, and serendipitous, spontaneous, and voluntary participation in technology development are the primary ingredients needed to accelerate the same process that led to the development of the television. A poster child of technology development that was not responsive to environmental challenges is the Segway. While an intriguing idea on paper, the concept of the Segway presupposed that people were in need of a means to travel relatively short distances with speed and minimum effort. It turns out that there are already some responses to this challenge, some of which were gifted to us by nature: feet, legs, bicycles, public transportation (e.g., buses, trains, trams), taxis, cars, and the list goes on. If you need to travel so far that riding a bicycle or walking are impractical, the next easiest thing is to take an existing form of transportation. If the distance needed to travel is short, using a Segway instead of walking or cycling appears just plain lazy. Another example of technology that has yet to come to fruition and does not meet an existing challenge in the environment is flying cars. It seems like several times a year, there is a new prototype for a flying car, but the challenge has already been answered. If you need to travel a long distance and need to do so very quickly, you take a plane. If you need to travel a short, medium, or long distance and time is not a significant factor, a car will do. Despite the fact that flying cars and the Segway are not responsive to environmental challenges and thus are doomed to fail, people still keep coming up with new versions of flying cars, and the Segway still made it to the market as a fully mature product. To avoid these pitfalls, testing the value of the product or service in the market with minimum viability is essential. The concept of minimum viable products (MVPs) is not new. There is an anecdote that when Apple was working on the first iPod, its developers were loath to release it because of all the room for improvement they thought the product needed before it hit the market. The story goes that Steve Jobs conveyed to the developers that the product did not have to be perfect. The iPod, at least according to Jobs, was minimally viable, and there would be plenty of opportunities to continually improve upon the product in subsequent releases. It turns out Jobs was right, and Apple went to market with an imperfect but wildly successful product that revolutionized the music industry. The last variable in the formula for successfully moving from idea to creation is capital investment. Capital investment is what sets Silicon Valley apart from all the other hubs in the world of technology development. Silicon Valley is awash in private equity, which is often the deciding factor in whether a product or service makes it to market and how much rope the product or service has to prove its value before it gets cut off or gets additional rounds of funding. The fundamental question about private equity and its little brother, venture capital, is how to attract the people with the money. There are close to one trillion (with a "t") dollars in private equity, driving Silicon Valley tech startups. Proximity is a significant factor in how those billions of dollars are invested. In other words, the closer you are to Silicon Valley, the likelier you are to receive funding. As a general rule, investors want to be close to their investments. It, therefore, stands to reason that in creating a hub of technology development, private equity should be an integral part of the hub’s ecosystem. While Silicon Valley is still the most valuable technology development hub in the world, there are factors that are giving technology developers pause when considering a move to the San Francisco Bay Area, where Silicon Valley resides. 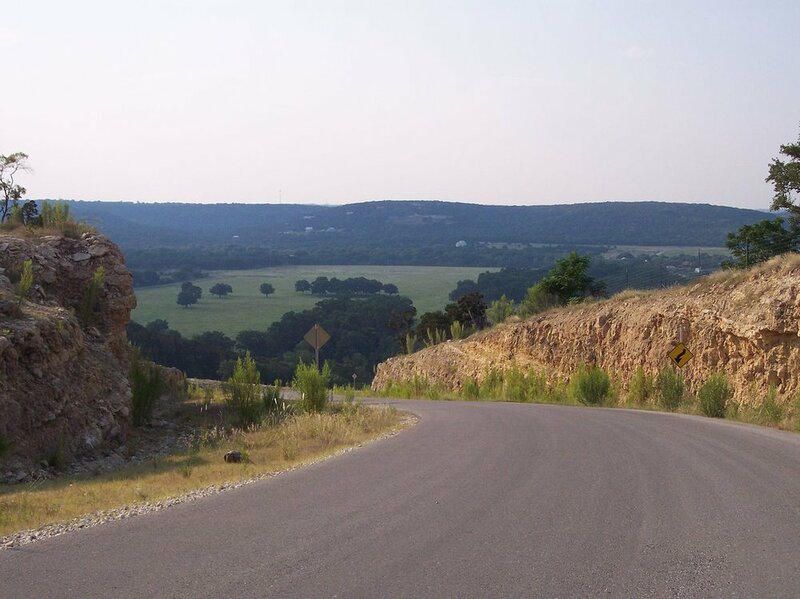 The rolling landscape of the Texas Hill Country near Austin, Texas dubbed the "Silicon Hills"
According to BenefitsPRO.com—a website “designed to provide benefits brokers, benefits managers and retirement advisors the news, resources and tools they need”—the San Francisco Bay Area is the most expensive housing market in the United States. The median sale price for a home in Q2 of 2016 was $1,085,000. Meanwhile, the median household income in the San Francisco Bay Area is $96,481 (Satter, 2017). According to The Guardian, Facebook employees petitioned Mark Zuckerberg in 2016 for the company to subsidize their rent (Solon, 2017). Many of these employees are engineers who are making six figures and who often have dual-income households sometimes earning close to one million dollars per year, but they are still spending half of their income on undesirable housing (usually small apartments near work). This squeeze is giving rise to the flight of these technology developers and is one contributing factor to the rise of places such as the Silicon Hills, which is what the area of Austin, Texas, has recently been dubbed, as more startups, technology developers, and private equity look beyond the Silicon Valley for an affordable lifestyle and the opportunity to work in technology development. I predict that this flight will continue, and now is the perfect time to attract people who want a high quality of life but also want to be at the forefront of technology development. Now, while the iron is still hot, is the time to strike by incentivizing individuals to come from around the world to a hub of technology development that provides a high quality of life and the opportunity to be a part of a new and vibrant tech hub. There are many highly qualified people looking for these opportunities. The key is that the hub broadcast its intentions worldwide to attract the best talent and be in a location where people want to live. Ideas x value + capital investment is the simple equation behind creating a tech hub, but there is no guarantee of success even if this formula is applied. However, there are several factors that will increase the chances for a new tech hub to be successful. The first and foremost factor is creating an environment of experimentation. Within that experimentation ecosystem, there must be a high tolerance for failure. The ecosystem must also be built on a foundation of spontaneous idea collision that allows for the model of serendipitous ideation to take place. The value of ideas must be tested through minimally viable products and services to ensure they are not flying cars or a Segway. Lastly, there must be rainmakers who are willing to take risks by funding the outcomes of serendipitous ideation. While the beautiful landscape of the Texas Hill Country surrounding Austin is quickly turning to silicon, the original Silicon Valley in the San Francisco Bay Area is still the largest power broker in the tech world, with close to one trillion dollars in private equity. However, the window of opportunity is gradually opening for other tech hubs to take advantage of the slow but steady brain drain from Silicon Valley due to unaffordability. I do not believe the window will be open for long. Technology developers and those with capital to invest are not nomads; they will find places around the globe in the next several years and begin to build new valleys, hills, plateaus, and mountains of silicon (Silicon Valleys 2.0). The tech hubs that will succeed are those that prioritize and posture themselves to tap into human potential by being fanatic about keeping organizations flat, allowing freedom of idea movement, eschewing bureaucracy, and creating environments built on experimentation fueled by spontaneity in idea collision and serendipity in ideation, bound by ethics and mores, so that technology advancements do not diminish our humanity, but improve it. Braun, F. (1897). Ueber ein Verfahren zur Demonstration und zum Studium des zeitlichen Verlaufes variabler Strome; von Ferdinand Braun. Annalen der Physik und der physikalischen Chemie, 552-560. Hugo, V. (1879). History of a Crime (The Testimony of an Eye-Witness). Swinton, A. A. (1908). Distant Electric Vision. Nature, 151-151. Toynbee, A. (1955). Challenge and Response. University Review, 33-41.